Erica Taylor is a born storyteller, one who harnesses data to inform the backstory and drive the plot. An enthusiast of large data sets, Erica brings numbers and narrative together to help teams explore new thinking and solve complex issues. Her approach to extracting value from data marries with a strong creative streak to spur innovation and overcome obstacles. 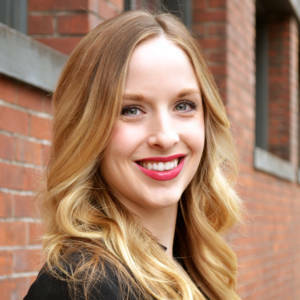 A keen ability to communicate technical concepts to audiences of all types has fueled Erica’s career, which began in digital advertising and search engine optimization before moving into data analytics and platform integrations. Her experience includes project delivery roles at SwellPath, 6D Global Technologies and WE Communications, where she led analytics and insights programs. Erica has a bachelor’s degree in business from Oregon State University. Prescription for life: Invest passionately in a life of curiosity.